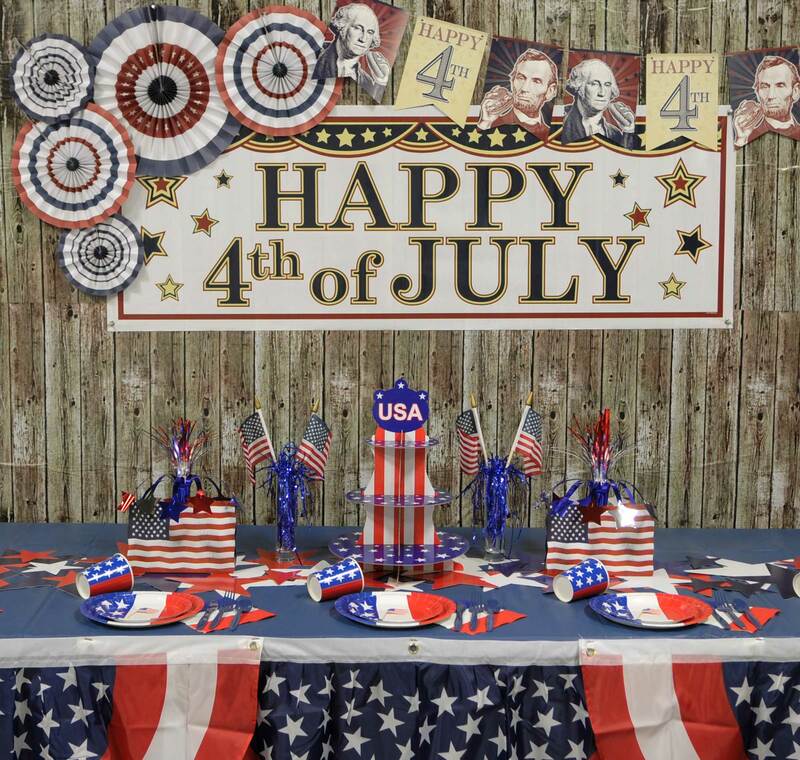 Ways to Decorate for the 4th of July! Hello everyone! I can’t believe that the 4th of July is already right around the corner! May went by sooo fast and I have a feeling that June will be the same way. 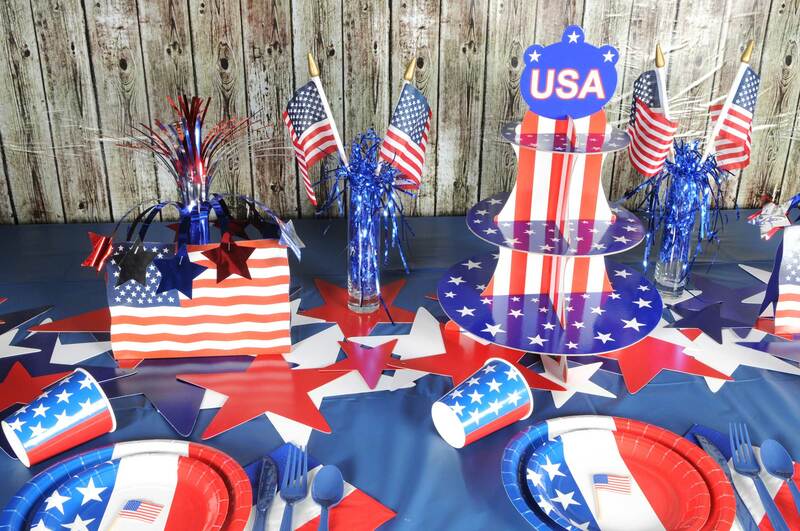 I wanted to share a few ideas with you so that you can start thinking about how you can decorate for your upcoming 4th of July parties & events. At Beistle, we have everything you’ll need to get that perfect amount of red, white & blue! 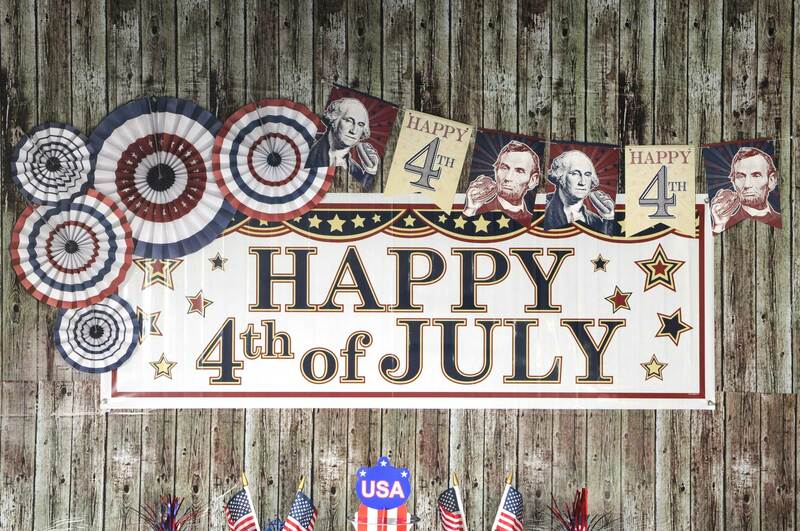 We have lots of patriotic garlands and banners to choose from in our catalog. 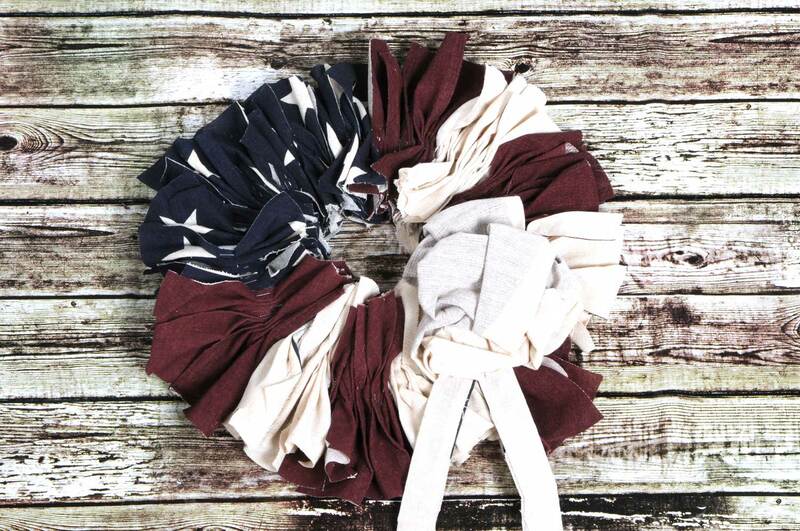 So, whether you are going for the traditional red, white & blue, or, prefer more of an Americana look, we have it all. 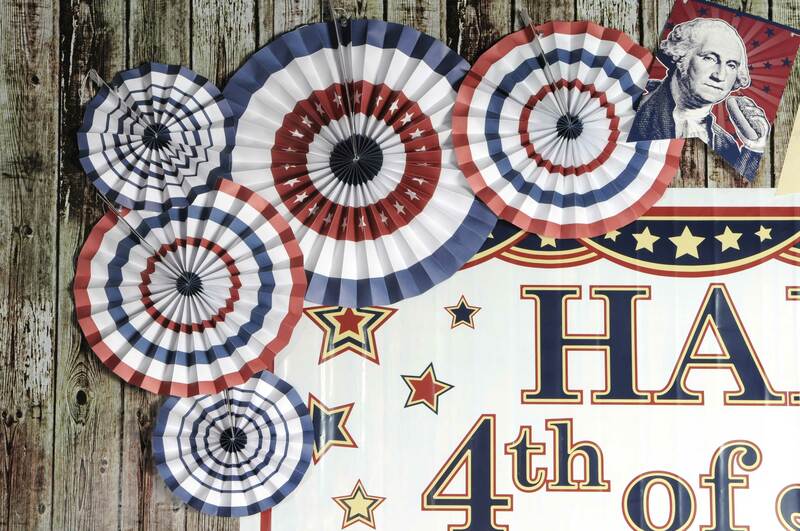 I chose to showcase two of our Americana banners (new for 2018) paired with the Patriotic Accordion Paper Fans. I love these fans and they pair great no matter which decorating style you prefer. Here’s a closer look at the fans. Aren’t they great? They can be draped from the ceiling, taped to a wall as shown or even cut apart to create custom decorations. For the table, I stuck with the traditional bright red, white & blue color scheme. I created a custom table runner by overlapping a few packs of the Star Cutouts. 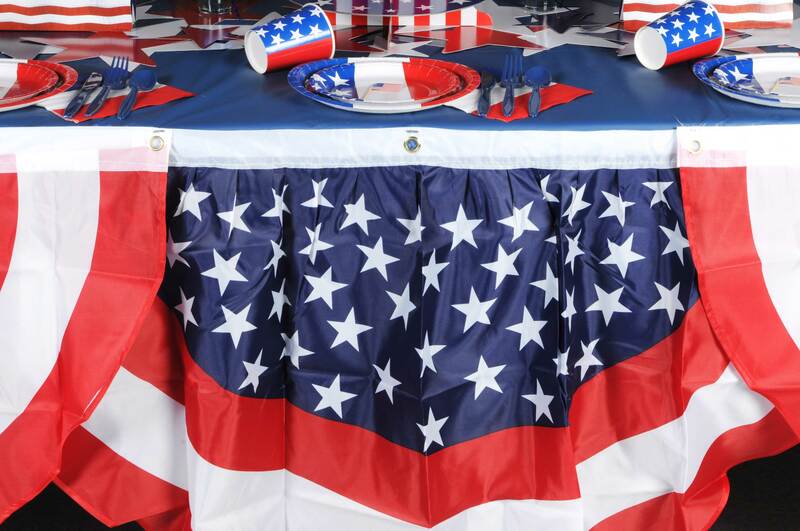 Tip: If you’re hosting an outdoor event, you can tape these together to avoid any stars from blowing off of the table. If you’re planning to serve cupcakes (regular size or mini), the Patriotic Cupcake Stand is a must-have. It’s super easy to assemble and could be used to display other desserts as well. Don’t forget about your tableware! 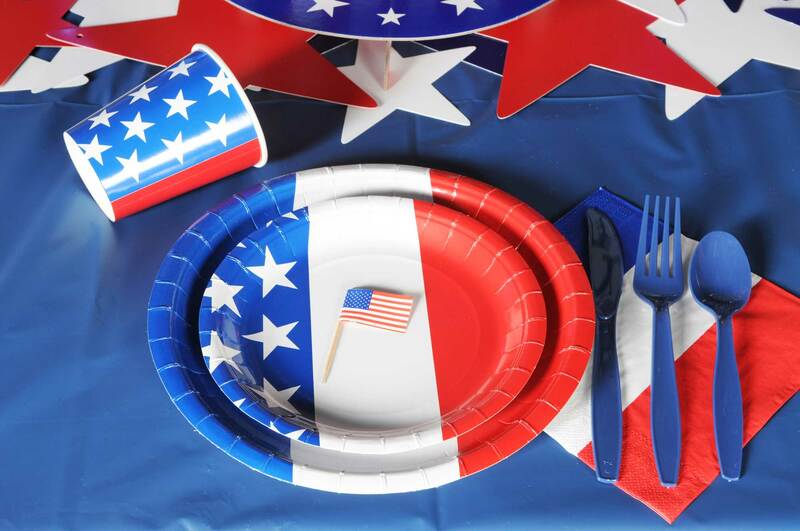 We have some great red, white & blue patterned plates, napkins & cups to compliment the rest of the Patriotic decorations. I decided to get creative with our Stars & Stripes Fabric Bunting and use it as table skirting. This turned out looking even better than I imagined! Tip: Because of the shape of the bunting, be sure to overlap the pieces slightly to avoid having large gaps between the items. If you enjoy creating custom, DIY decorations like myself, make sure you check out my post on how to make your own Rustic Patriotic Wreath by clicking on the link. Please feel free to E-mail me pictures of your own 4th of July parties. I’d love to see! 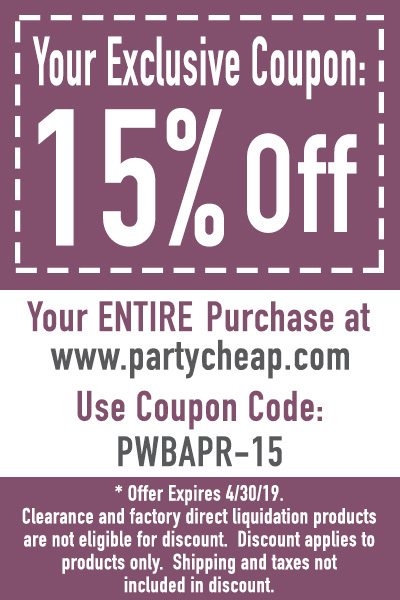 To purchase your own 4th of July or Patriotic items, visit www.partycheap.com. (Don’t forget to use your exclusive coupon code found on my “Shop” page).